Las Piñas / News / Sumbungan! This is what one Alabang Bulletin reader seems like saying as she approached us to ask help for what Maynilad did in front of their house. 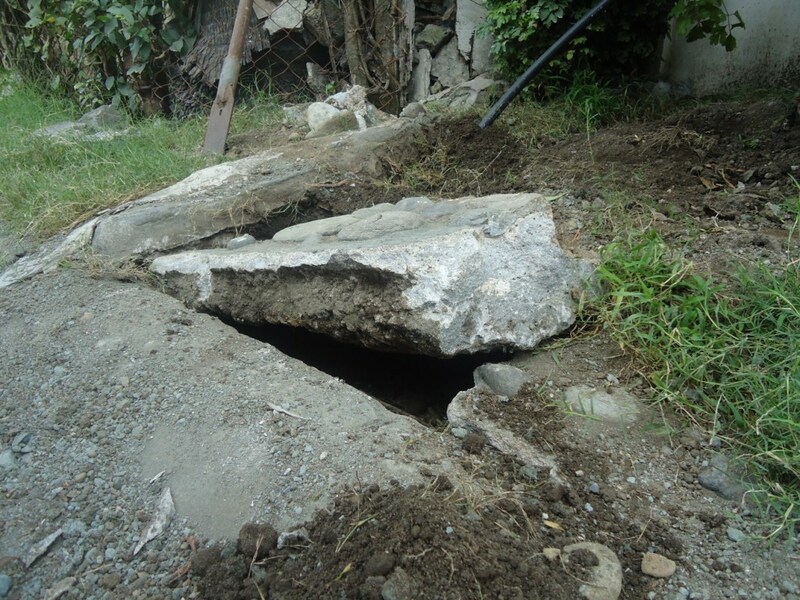 They live in Metrocor Homes in Barangay Talon Singko in Las Pinas and told us that Maynilad all of a sudden and without their permission started digging a hole on their front lawn more than a month ago. “It was a decorated front lawn,” said the villager, adding that they were never notified by Maynilad that they were going to dig (damage?) a hole on their front lawn and WORSE, they left it open and never repaired the hole. “We’ve been emailing them for more than a month now but they responded only once and that was over a month ago,” said the complainant. Apart from this being an eye sore, this hole can also cause accidents. 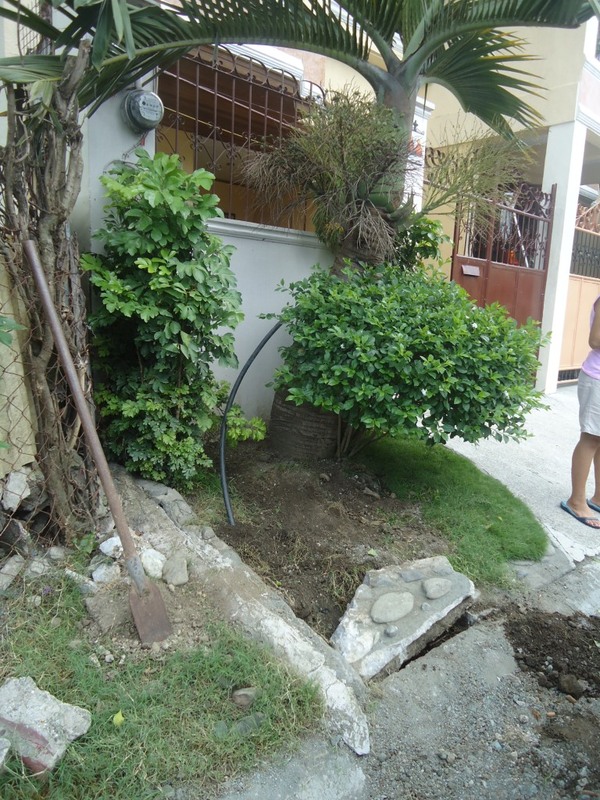 Why Maynilad dug a hole on their front lawn, never asked permission (or even informed them) and left the hole open is beyond us. Only Maynilad can answer all these questions. But the homeowners don’t really care about the answers to these questions anymore. 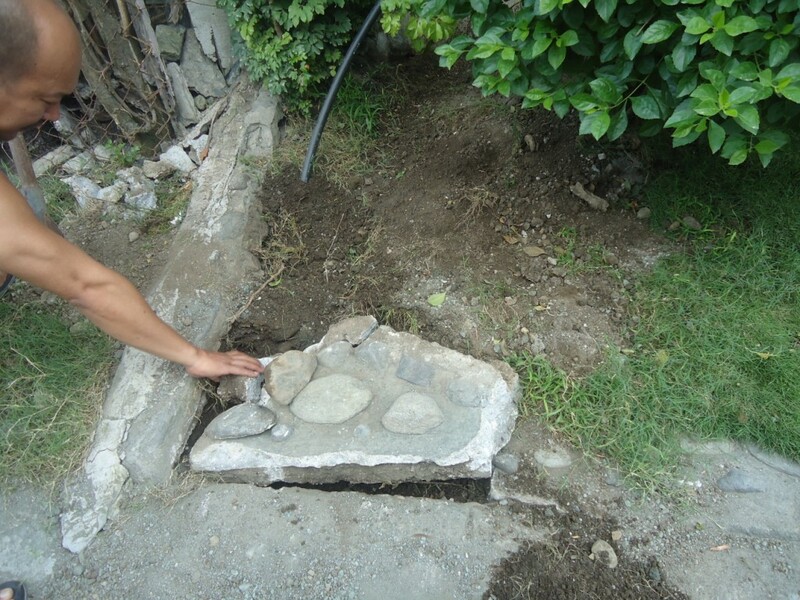 What they want is for Maynilad to own up to what they did and have their front lawn repaired. Is this the sidewalk fronting your house? Looking at the pictures, I don’t think this is your front lawn. I agree… that’s the sidewalk that they have occupied and they can’t blame maynilad..
regardless, whether it is a sidewalk or not, it is the responsibility of Maynilad to restore it after doing their installation. an attitude of walang pakialam is what hinders this country from advancing. 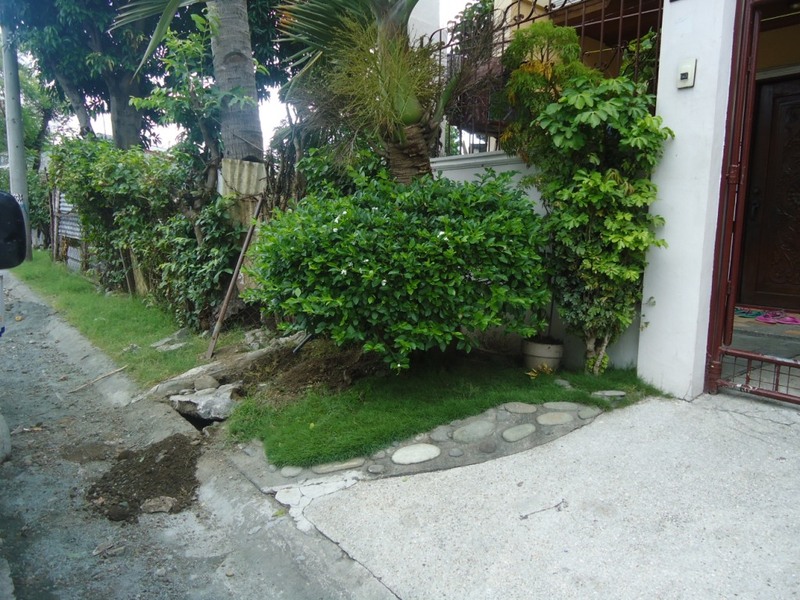 thanks hmmm… i stand corrected it’s not the front lawn… but whether it is front lawn or sidewalk or whatever the h*ll you call it, they (Maynilad contractors) left it open… kids in the neighborhood play on the streets and this may cause danger to them… get it??? Why don’t you send the photos or a video to gma news? If they air it, Maynilad might come knocking on your door the next day to fix it. Next story Streetchildren alert once again near Madrigal Ave. Previous story Pa-Wedding ni Tambunting on 11/11/11; Register now!